With its curated content, gorgeous photography, and recipe contests, Food52 is a bonafide brand for cooking enthusiasts. 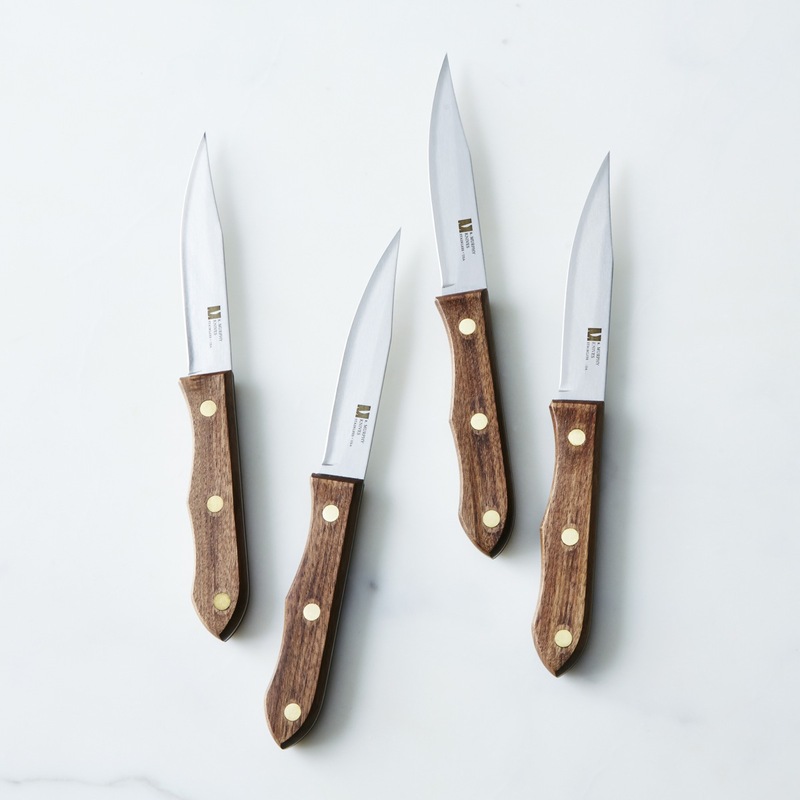 So when Provisions, Food52’s digital marketplace, was looking to create the ultimate steak knife, a collaboration between two Boston-based makers, R. Murphy Knives and Boston HandyWorks, was born. R. Murphy cutlery company was founded in 1850 in Boston, and is the third oldest knife company in the United States. Their knife blades have edge grinds between 12 and 14 degrees, creating a tapered blade with a very thin, sharp, and high-performing knife edge. 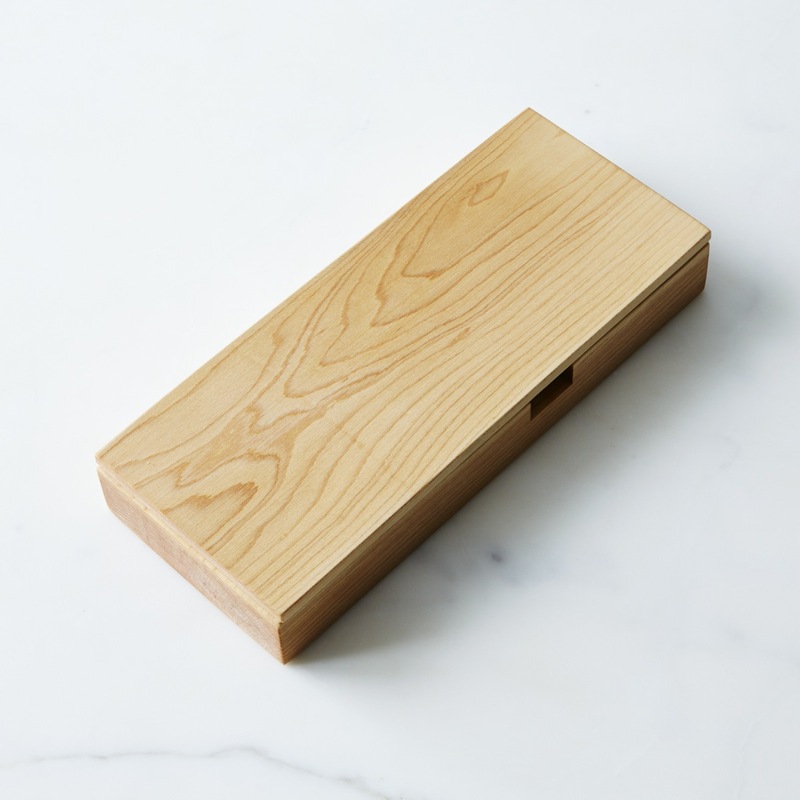 Food52 wanted a cooking knife inspired by the sharp blade and sturdy handle of a classic hunting knife. The final design by R. Murphy softens the corners of a hunting knife for a gently curved, walnut handle over a high carbon stainless steel and hand-ground blade with solid brass rivets. Carbon steel was the only resource in which knives were made with until stainless steel was introduced in the late 1920s and early 1930s. R. Murphy is one of the few remaining manufacturers that still practices the original carbon steel techniques. High carbon stainless steel, however, is the best of both alloys. The stainless steel keeps the knives rust and stain resistant while the carbon steel has minimal blade maintenance, keeping the hard metal sharper for longer. 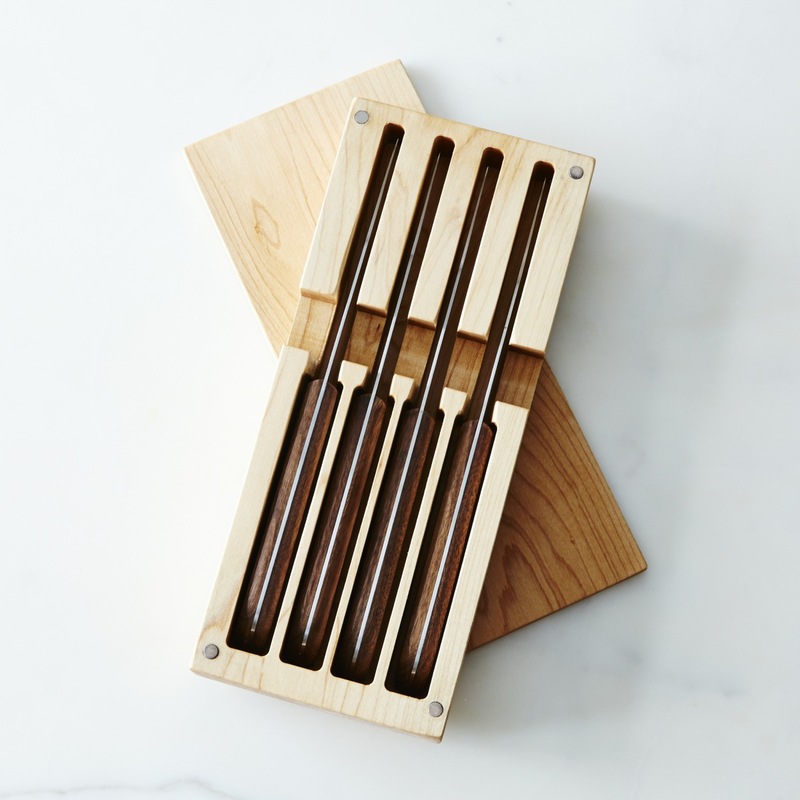 The 10-inch Everyday Steak Knives are sold in sets of four inside a handmade wooden box with a magnetic closure, a piece of hardware created by Boston HandyWorks. The organization is a social enterprise program of Pine Street Inn whose mission is to provide transitional employment to the homeless and to those who are estranged from the work force. The trainees learn to create high quality wood products as they also aim to meet their personal economic goals. According to R. Murphy’s guidance on knife care, washing knives by hand is recommended. Placing large knives in the dishwasher generally leads to dings and scrapes that blunt the knife’s edge. Additionally, high heat causes wood handles to dry out and potentially crack. 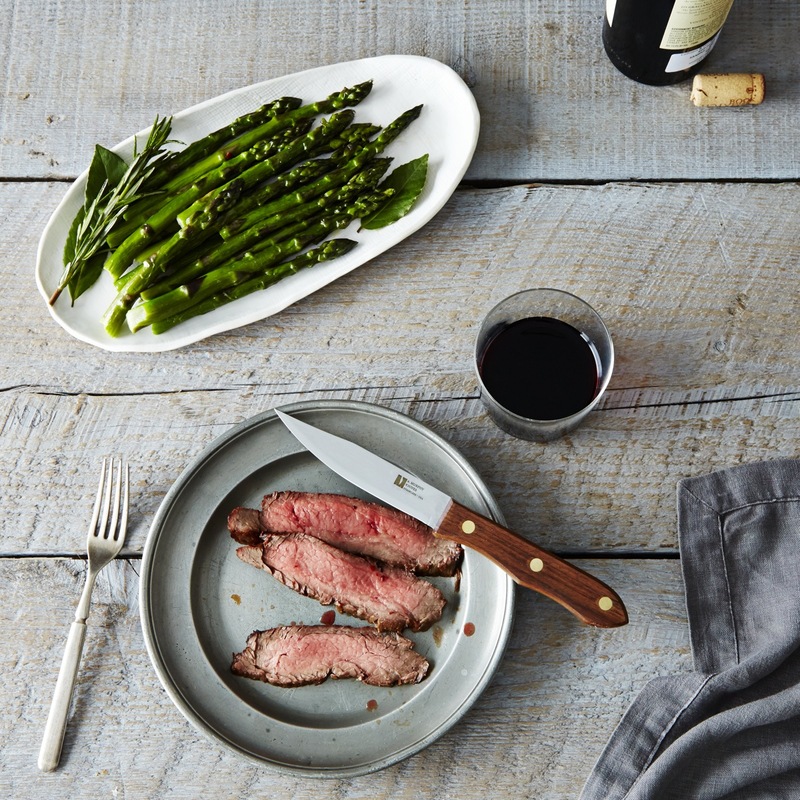 Everyday Steak Knives are sold online at food52.com, $145 for a set of four.